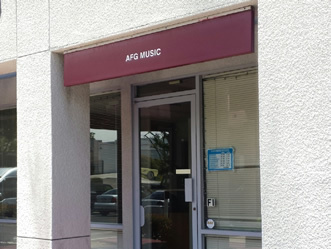 Call AFG Music at (949) 642-1686 and ask for Will. Please be sure to leave a message if we’re out so we can get back to you! Stop by our shop at 711 West 17th St., Unit F-1, Costa Mesa, CA 92627 between Noon and 6 PM Monday through Saturday – we are usually in. But you might want to call (949) 642-1686 in advance and make sure we’re not off playing somewhere.